Beauty lies in the eyes of the beholder, an adage that we have heard for ages, but does it hold true. All that we know is that we worry about pigmentation and other marks on our skin. The sight of a small tiny spot has us looking for solutions, and yes we run to try anything anyone tells us and this does more harm than good. The quest then is why do we get pigmentation and what is it? If one were to explain hyperpigmentation in the simplest possible language, it would be darkening of the skin. All of these have an adverse effect on our skin making it look dull, and hyperpigmentation never comes along it also brings with its open pores, uneven skin tone, and texture and even roughens up the skin. Not everyone gets hyperpigmentation, some people are fortunate enough to sail through life without it but for those with skin that is prone to pigmentation will get even with smallest of exposure. Pigment prone skin is more sensitive hence any harsh products would end up triggering pigmentation, and in some cases, your genes might make you more susceptible to pigmentation. Why do we get hyperpigmentation? This condition of the skin is related to ‘melanocytes’ which are found in the ‘basal layer’ of the skin. They become over-active and begin to produce more ‘melanin’(pigment responsible for our skin color), and this overactivity leads to hyperpigmentation. Hyperpigmentation is not easily reversible as most products look at the apparent solution while the problem is excess melanocytes hence solution also has to be both external as well as internal. 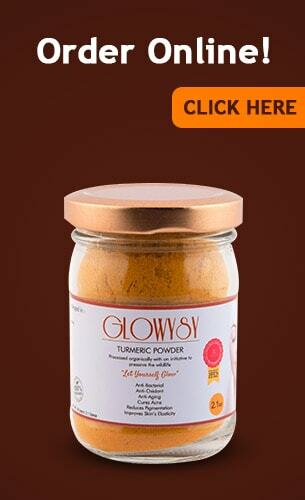 Glowysy is 100% organic and is loaded with the goodness of Curcumin is the most potent weapon to control and reduce the production of Melanin and preventing it from going into overdrive. Curcumin is known for its effective anti-oxidant action which kills free radicals and prevents the overproduction of melanin. The anti-oxidant action of Curcumin also restricts ACTH hormone form its oxidizing action and thus reduces hyperpigmentation. Curcumin also helps ameliorates the action of harmful sun rays thus inhibiting pigmentation. The anti-inflammation property of Curcumin effectively reduces the production of melanin. Glowysy with high curcumin content effectively gives your skin the perfect glow of good health and also inhibits the aging process all because of the mercurial anti-aging properties of curcumin. So this nor only fights pigmentation but also keeps your skin young and healthy. The anti-oxidant property of curcumin in Glowysy cleanses the skin thus keeping it clean, and this works miracles when it comes to controlling melanin production. By inhibiting the overdrive of melanin production, Curcumin in Glowysy makes the skin tone lighter and also removes the rough and uneven skin tone. This combined action not only prevents pigmentation it also gets rid of the embarrassing dark circles. Glowysy also helps check and prevent tanning thus protecting your skin from the harmful effects of the sun. 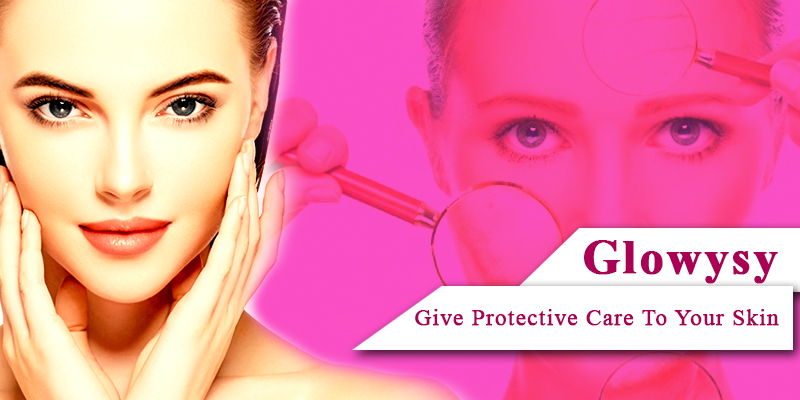 Curcumin also has powerful antiseptic and anti-bacterial action that work wonders in checking pigmentation and suntan. While cosmetic products might have harmful effects or might cause irritation and redness glowysy only provides soothing comfort to your skin and gives it the pampering and care it deserves. Mix ½ tsp. Glowysy with one tsp. Milk. While using these masks do remember that the base for Glowysy is the wonderful Curcumin( which is beautiful yellow) and you do not want that color in your clothes to keep it away from clothes, your skin will love the pampering your clothes will not. Is Your Dog Troubled From Itchiness? After my pregnancy,I got a huge pigmentation mark on the entire left side of my face. People told me that it will fade away after sometime but it did not and made me very self conscious as I always had good skin. Lot of creams and cosmetics were used but nothing helped. I turned to desi nuskhas and was recommended Glowsy by a friend. The marks are getting lighter after regular use and i hope they disappear completely soon.